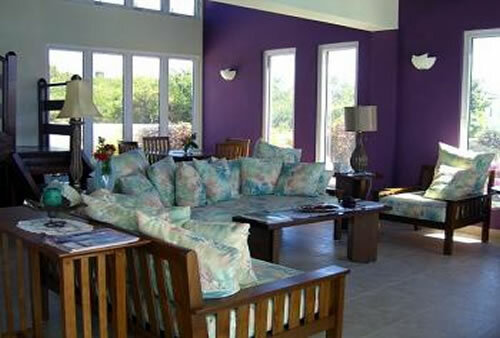 An oasis of tranquility surrounded by the most beautiful garden in Anguilla, Gardenia Villa is the perfect place for your vacation whether you are a couple, a family, or a group of friends. 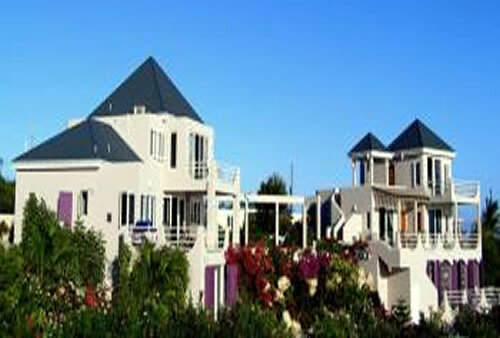 Villa Gardenia comfortably accommodates up to 11 persons. 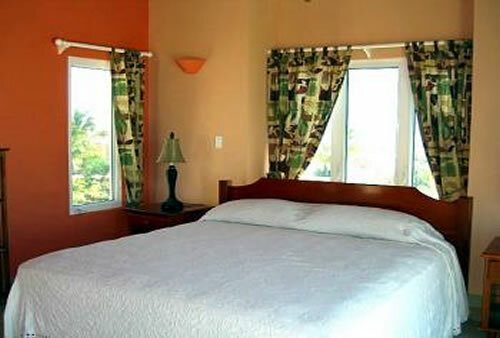 You can rent two rooms or up to all five rooms for your private dream vacation. 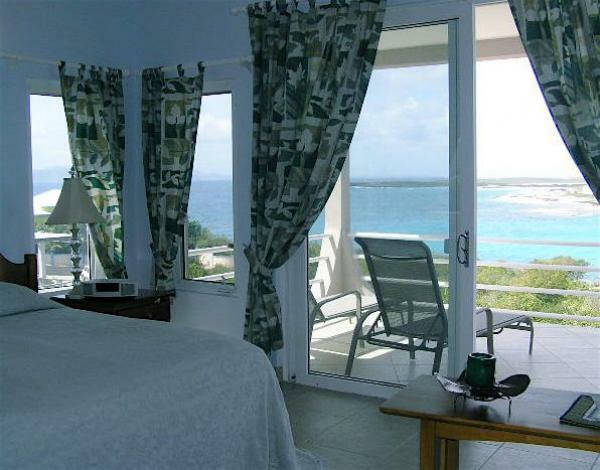 Wake up in the morning to the caress of a gentle breeze, and bask in the spectacular views of Anguilla's Sandy Hill Bay, Saint Martin and St Barts. 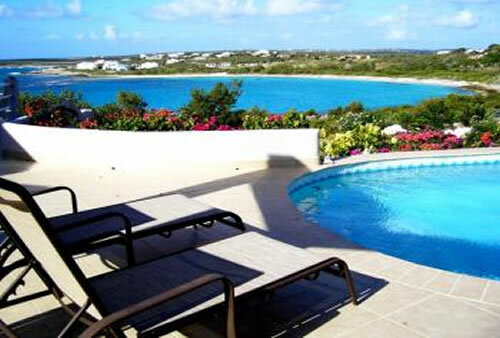 Relax around the swimming pool during the day, or head to one of the many world famous beaches of Anguilla. 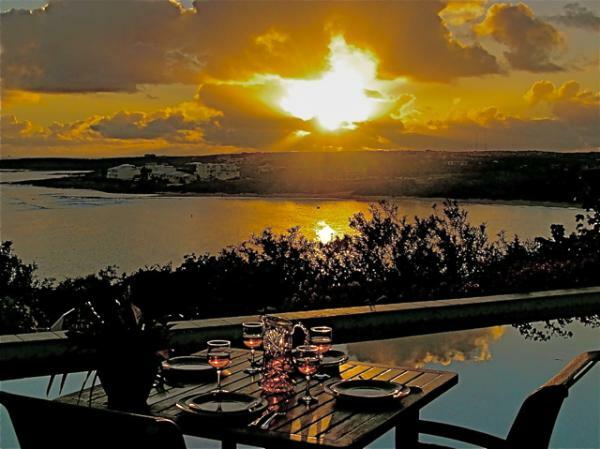 Enjoy the famous Anguilla sunsets from the porch. Have your pre-dinner drinks under the second floor pergola with its panoramic views. 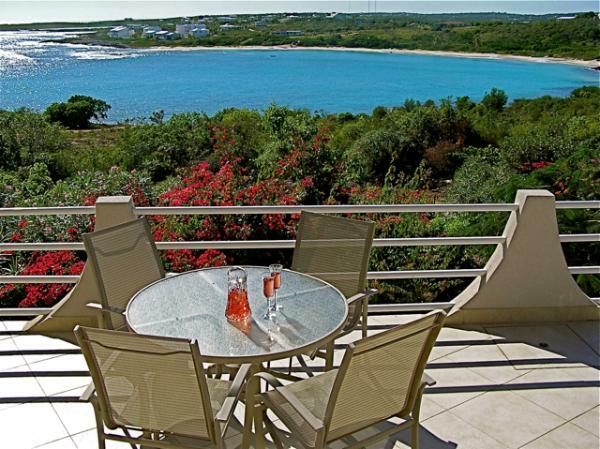 Prepare your alfresco dinner on the outdoor Caribbean charcoal grill, or sample Anguilla's elegant restaurants. Gaze at night at the moon and the stars. 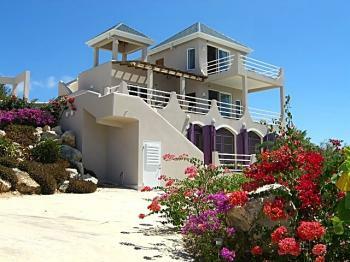 All in a modern fully equipped luxurious villa. 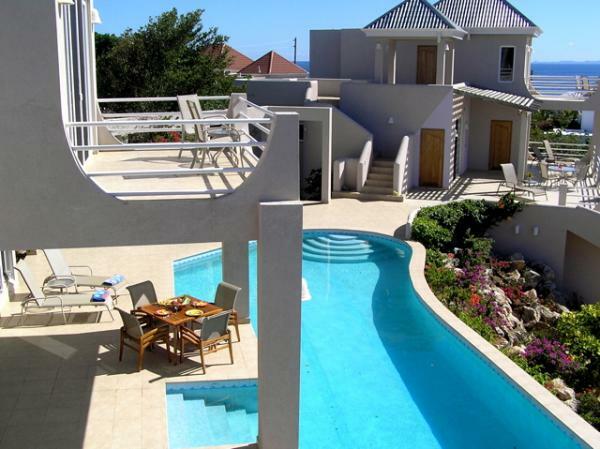 Perched on the breezy and cool hilltop of Sandy Hill bay, and overlooking the blue Caribbean, Gardenia Villa consists of two individual villas connected by a 56 foot-long swimming pool surrounded by a patio with three separate areas for outdoor lounging and dining. 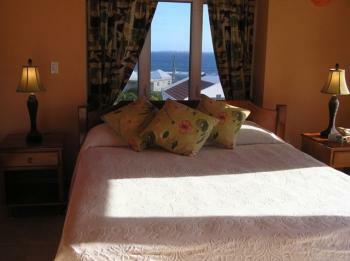 All living areas and sleeping rooms have gorgeous views of the Caribbean through large glass doors and windows. The garden is planted with gardenias, bougainvilleas, oleanders, palm trees, cedar trees, Norfolk pine, and other local flora. The living area occupies the first floor of the main villa. A spacious sitting room with an entertainment center and an area for table games opens through 12 feet glass sliding doors into the patio and the swimming pool. A hallway, with French doors that open into the patio, separates the living room from a dinning room that seats 8 to 10 people comfortably, and has spectacular views through large sliding glass doors. 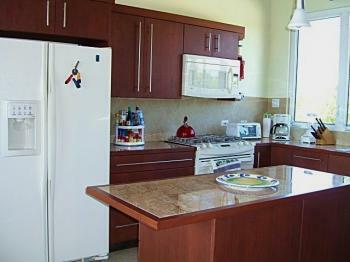 The modern kitchen has a central island, and is fully equipped. 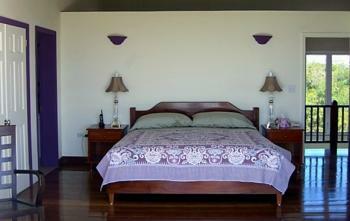 The master suite is secluded on the second floor of the main villa. An indoor staircase leads from the living room to an inner balcony that opens into a large master bedroom with hardwood floor, a king size bed, a sitting area, and a large en-suite bathroom with double sinks. Twelve feet wide sliding glass doors open into a spacious private balcony with stunning views. 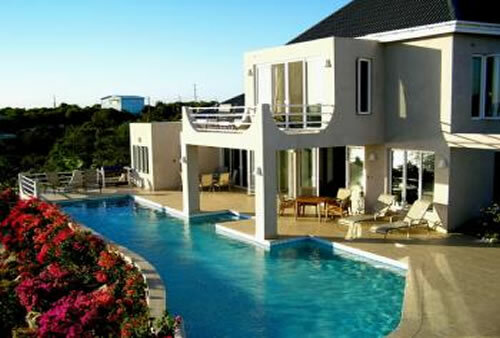 The other villa has 3 en-suite bedrooms, each with a separate entrance, and a garden level apartment. Two of the bedrooms are at the pool/patio level. 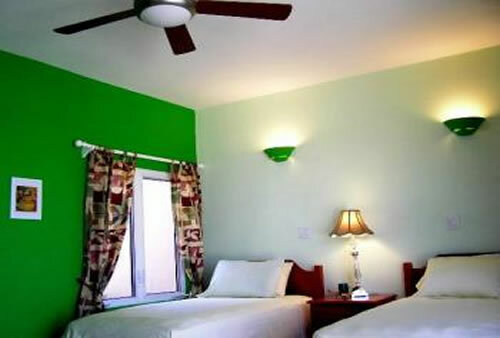 Each has a king size bed, convertible to two twin size beds. Eight feet wide sliding glass doors open into a private covered veranda with panoramic views. On the upper level there is a second master bedroom with a king size bed and a private balcony with a 360 degree unparalleled vista of the Caribbean and the islands of St Bart's, St. Eustatius, St. Martin, and Anguilla. The cozy apartment at the garden level has three twin beds that can be converted into one king size bed and one twin bed. 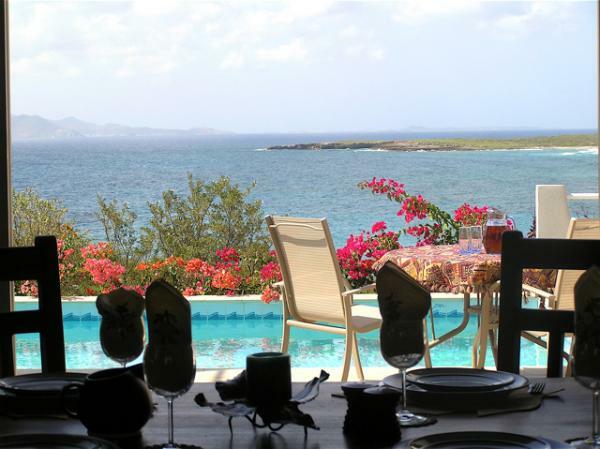 It comes with a fully equipped kitchen, a sitting and dining area, a full bathroom and a private balcony with beautiful views of the Caribbean. 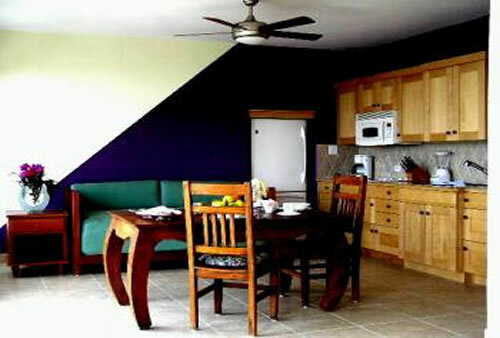 Villa Gardenia has air conditioning in the bedrooms and the apartment, two telephone lines, cable TV, DVD, radio/CD units and high-speed wireless Internet. An electrically operated gate leads into a driveway that climbs 30 feet to the main entrance. Maid service is available six days a week. 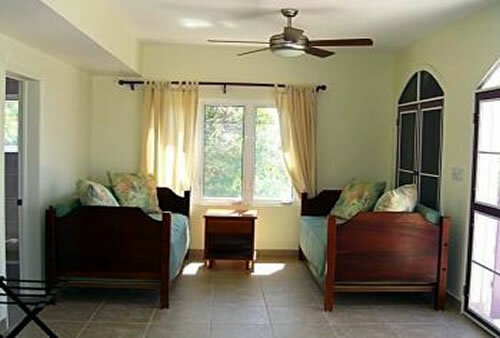 Gardenia Villa is a short walk to Sandy Hill Beach, which is also accessible by car, and is 15-25 minutes away from other beautiful sandy beaches, and from a wide choice of elegant restaurants. 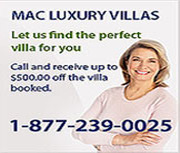 The villa is 10 minutes from the airport, 20 minutes from the St. Martin ferry landing, and 5-10 minutes from several grocery stores. To complete your Caribbean experience, the following services can be arranged: ferry transportation, car rental, taxis, babysitting, masseuse, and in-house chef.